Instagram posts don’t just happen. They are carefully crafted and executed and not all products can make it into the shot. The breakneck pace in which social media evolves can leave you feeling left in the dust. Even after learning about pins, likes and shares, there is always something new. Let’s look at some quick social marketing tactics you can put in place today. A new age of media is coming to your social networks, and video is the newest promotional tool. Have no fear; you do not have to be a videographer or invest money in an expensive video camera to promote your store. People love images and they love seeing them on the Internet. Photos make consumers want to learn about a product or service, and they create an impulse to purchase immediately. Everyone knows that promotions around Christmas and the New Year go hand in hand, regardless of the marketing channel. With consumer spending at its peak, brands need to be promoting their products as much as possible. According to ComScore, 30 percent of retail ecommerce consumer spending took place in the fourth quarter in 2012, with a majority concentrated in the second half. 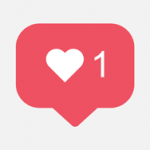 Instagram is now the go-to place for people to share photos with friends and family. Moreover, it is a great place for people to post pictures of things they want to sell, and indie retailers are finding it is an invaluable way to reach customers. 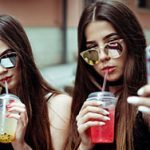 Hordes of users have turned Instagram into a profitable business opportunity, building new services on top of the existing platform.